Greetings semsandberg! Yes! Ugin's Conjurant really has the possibility of changing this deck! Thanks for checking out the deck! Hey ThaneGarrus, thanks for your comment. I’m glad you like the deck. I never had any issues with color fixing here. Usually 1 fetchland is enough to prevent that problem. Maybe adding some cheaper fetches that match only 1 color fixes this problem in the early game as you can still find the needed shock-dual. With the bouncelands it’s a special thing. They have downsides but are in for a few reasons. 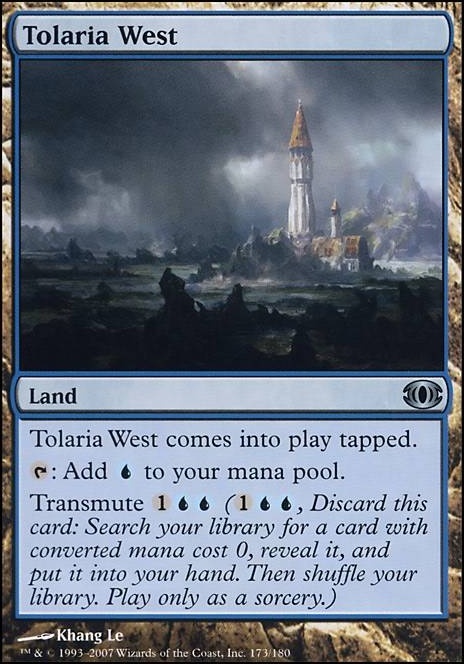 There are only 3 lands that always come tapped, Tolaria West and the 2 bounces. 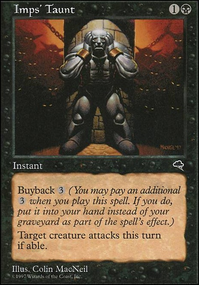 First reason is you can transmute tolaria to search for you 0 cost artifacts or a utility land like Command Beacon or Phyrexian Tower play tolaria after discard from your grave, bounce it with a bounceland and transmute again for tutoring. 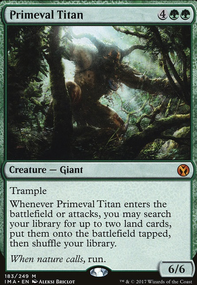 2nd reason is that the bouncelands give you 2 mana with just 1 land and therefore net you 1 mana with Treachery . I tested both adding the 3rd bounceland and cutting all of them. 3 seemed a bit too much but cutting them all made me miss them instead of improving the performance. 2 seems to be the sweetspot. Maybe I don’t encounter these problems because my LGS and playgroup play with the partial-Paris-Mulligan. If you have issues with that you may experiment with other lands and see if that works better for you. Maybe there’s a solution that fits better in your meta, Hope this could help you. I would love to take a look at your decklist if you add it and hope you enjoy the deck anyways. 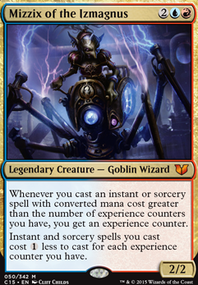 Deck looks sweet :D Not sure about Bojuka Bog , but it is cool that it can be tutored with Tolaria West ... has that interaction proved useful? What do you think of running one more Tolaria West instead? That is true, I may sideboard it. I'm just not sure what to take out in its place if I go back to running Sejiri Steppe . 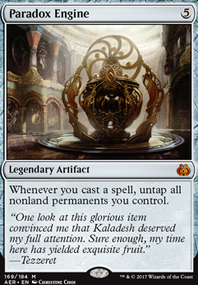 I do have Reliquary in the sideboard. I have been playing without it and doing better tbh. 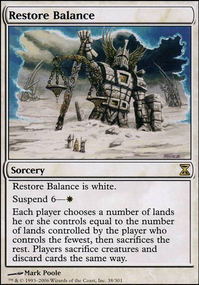 The issue with that is if I keep all the lands in my hand I can't drop them until my end-step the following turn which is after attacking phase again. So I would have to play lands one at a time in that case which is counterproductive to the deck's speed. It has been good with Tolaria West and Crop Rotation in the past. I miss that color protection from a land, but because it is a come into play effect It just wasn't hitting for me often. 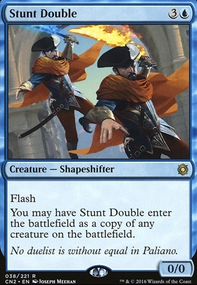 I'm thinking maybe I should add it into the sideboard though so I can still play two if I need them. Hopefully, even if I pull one into a Manabond drop, I can still tutor into the second one. Would definitely be useful against decks running early game instant answers to creatures like Path to Exile and Swords to Plowshares . I could sideboard them in for Rogue's Passage against burn decks or any or decks running early game removal. If that’s your concern with Sejiri Steppe , I would strongly consider playing one or more copies of Reliquary Tower . It lets you play Treasure Hunt and then sandbag all the lands in your hand until the next turn. As for the Sejiri Steppe , I wouldn’t run more than one or two; it’s just a nice thing to tutor up with Tolaria West / Crop Rotation or copy with Vesuva .